airbrushed yk 52 plane, aeroplane, alison, arts custom paint and airbrushing. 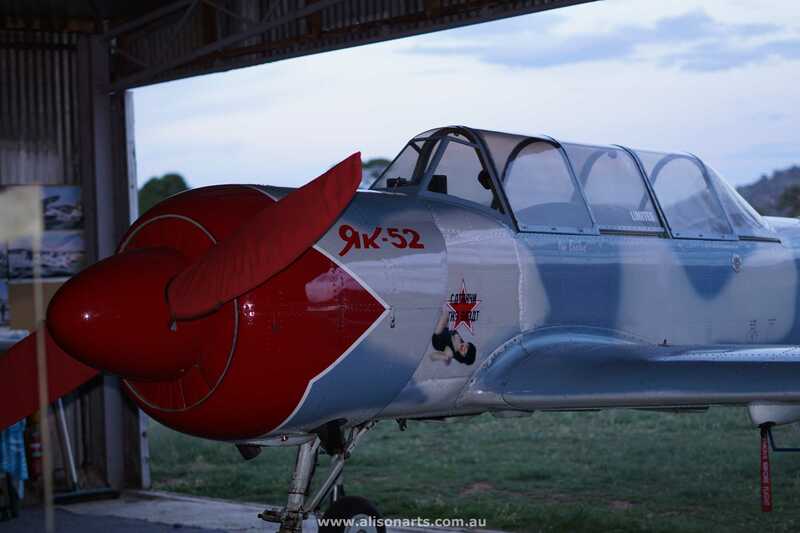 Alison Arts recently travelled to the ACT to custom paint and airbrush a YAK 52 aeroplane for Capital Warbirds in Canberra. 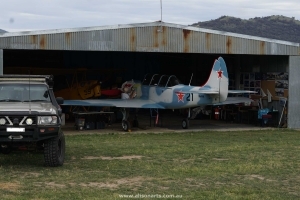 Alison Arts recently travelled to the ACT to custom paint and airbrush a YAK 52 aeroplane for Capital Warbirds in Canberra. The owner of the plane had a design in mind of a 50’s style pin up girl named “Katherine the Great”. 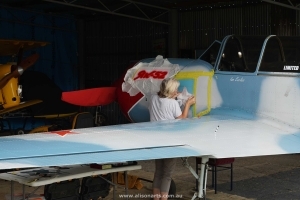 This name was to be airbrushed on in a reverse style along with the pinup girl to both sides of the plane.